Welcome to the Villas of Frangista. 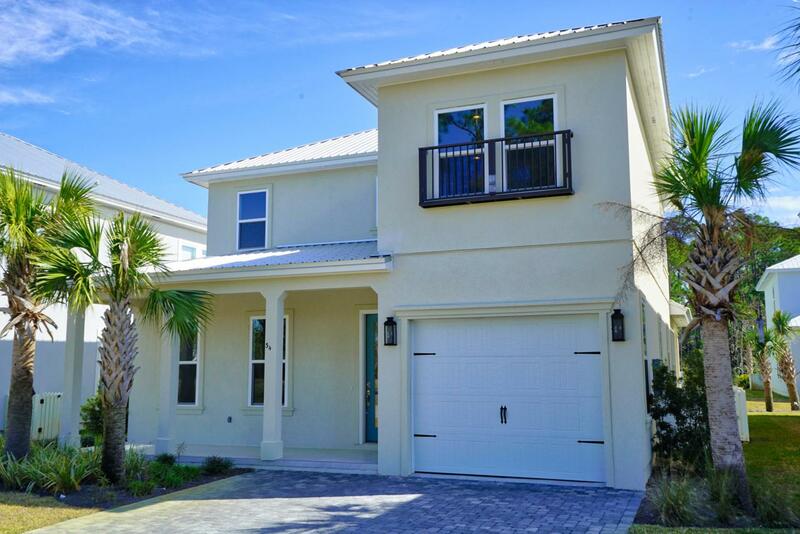 A gated community with brand new beach villas along cobblestone streets and towering palms. This home has a modern, open floor plan. The kitchen has soft-close shaker cabinetry and is centered around a large granite island. Hardwood flooring throughout. Porcelain tile on porches and bathrooms. Master on the main. Brand new. Builder's warranty. Walking distance to the multiple beaches, local seafood restaurants, and beach bars to sip cocktails and watch the sunset :) Low HOA dues, insurance costs, and high quality insulation make the cost to own of this property extremely affordable.